Every plant in the vegetable garden is a little broken heart waiting to happen. After all, you start them from seeds, nurture them through their awkward teenage stages, and then hope, as adults, they’ll be fruitful and, in some cases, even multiply. When pink rot potato disease appears in your mature potato patch close to harvest, your first thoughts may be about treating pink rot in potatoes, but sadly, there is no cure once it has taken hold. What is Potato Pink Rot? Potato pink rot is a tuber disease caused by Phytophthora erythroseptica, a very common soil-borne fungus. 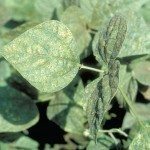 The spores of potato pink rot can lay dormant in the soil for extended periods, waiting for the right conditions and a compatible host before springing to life. In chronically wet soils, potato pink rot becomes active, invading developing potato tubers through the stem end, underground wounds and swollen eyes. Once a potato tuber has contracted pink rot potato disease, other pathogens like Erwinia carotovora can invade, causing complete collapse of the tuber within two weeks. It is believed that pink rot can also pass from these infected tubers to their unaffected neighbors. The earliest signs of pink rot are a general wilting of the plant around the end of the season, starting from the base of the foliage and moving upward, causing leaves to wilt, yellow or dry out. If you notice wilting potatoes before harvest time, dig around the base of the plant and check the tubers nearest the surface. Squeeze the tubers – infected potatoes tend to be somewhat limp and sometimes a little liquid will come out. Remove any suspect potatoes and cut them in half before leaving them exposed for 10 to 20 minutes. The most diagnostic symptom of pink rot disease is a salmon-pink color that appears on the cut potato flesh after this brief exposure to air. After about 20 minutes, the flesh will begin to rot, turning brown, then black. Understanding what causes pink rot in potatoes can help you prevent it, but infected potatoes cannot be saved, so pull them as soon as possible to slow the spread of the fungus. Start your next potato crop in a new bed with excellent drainage and be careful to not over water your plants, especially during early tuber formation, when pink potato rot disease is highly infectious. Although no potatoes are completely immune, pink rot potato control can be helped along by cultivars that show some resistance to the fungus. Studies at North Dakota State University have demonstrated pink rot resistance in the white potatoes Atlantic, LaChipper, Pike and FL 1833. Red varieties Red Norland and Nordonna and russets Ranger Russet and Russet Burbank show resistance as well. 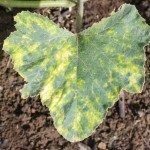 Chemical control is increasingly discouraged, since pink rot fungus seems to be developing a resistance to the fungicides metalaxyl and mefenoxam. Home gardeners should not use these fungicides on potatoes with pink rot. A chemical called Phostrol, a compound of multiple sodium types, potassium and ammonium salts of phosphorous acid, is an option that has shown promise in field studies, though how it works is not fully understood.